Studded with apples & topped with cinnamon sugar, these apple cinnamon muffins are a warming, cozy & healthy breakfast or afternoon treat. It’s my birthday today, which is timely, because I couldn’t be more excited to share that this apple muffin recipe kicks off a series of posts I’ve been working on for Anthropologie(!!). Pinch me. 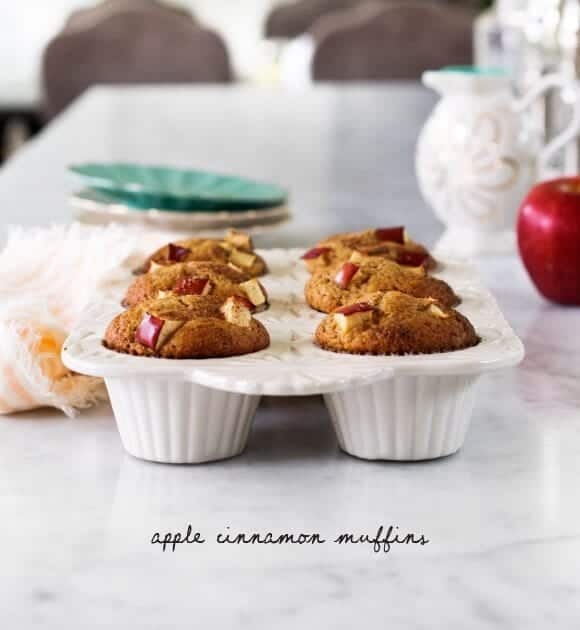 First up are these sweet apple cinnamon muffins that I baked up in this super sweet ceramic muffin pan. These healthy apple muffins are pure apple-cinnamon-ey goodness coming out of the oven. 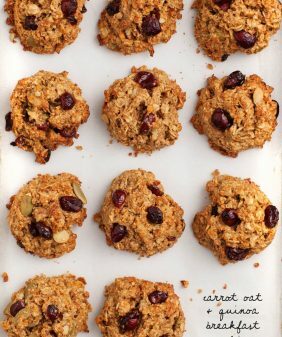 They’re on the lighter side, as they’re dairy-free and use applesauce in place of some of the oil and sugar. We’ve been loving them for breakfast lately, although they don’t last long around here. 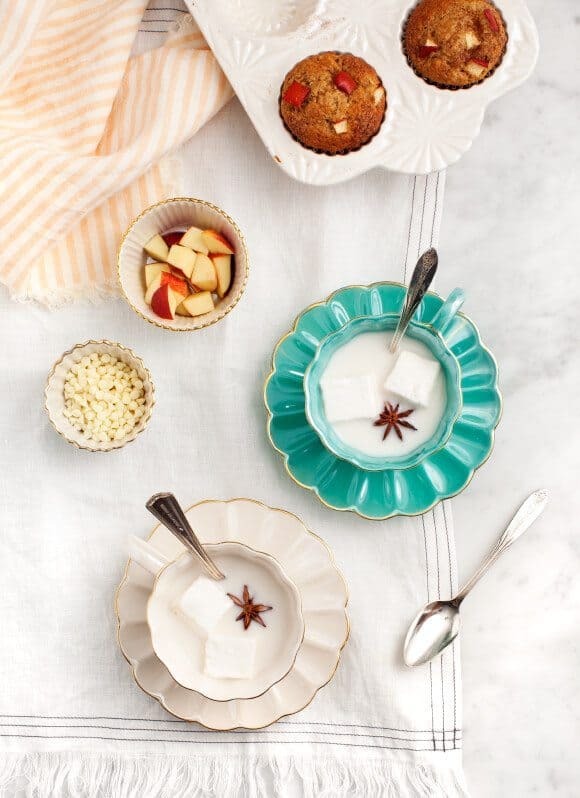 I like to pair these apple muffins with this spiced white hot chocolate. It’s on the richer and more indulgent side – but hey, birthdays only come around so often, so let’s live a little. This is a base recipe that could easily become creamy hot cocoa or a sweet matcha drink. Serve it with fresh marshmallows, spices, and fancy mugs. Pinkies up! 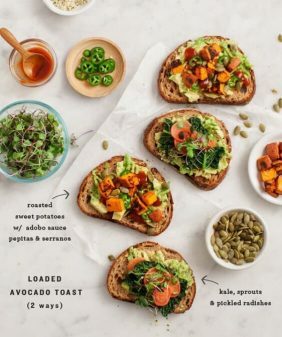 Want more ideas for healthy breakfast muffins? 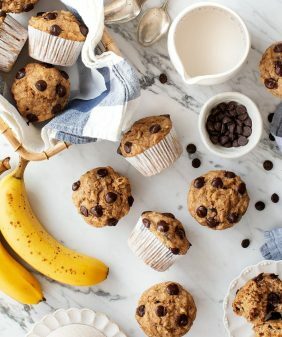 Try these Vegan Banana Chocolate Chip Muffins or these Meyer Lemon Chia Muffins! Preheat the oven to 400°F. Line a 12-cup muffin tin with paper liners, or spray lightly with cooking spray. In a medium bowl, whisk together the almond milk and apple cider vinegar. Set aside. In a large bowl, whisk together the flours, baking soda, baking powder, cinnamon and salt. To the medium bowl with the almond milk, add the oil, sugar, eggs, applesauce and vanilla extract. Whisk until well combined. Pour the wet mixture into the large bowl with the dry ingredients and mix until just combined. Stir in two-thirds of the chopped apples. Use a ⅓ cup measuring cup to fill each muffin cup. Top with the remaining apples and sprinkle with the cinnamon sugar. Bake for 20 to 25 minutes, or until a toothpick inserted in the middle comes out clean. In a small saucepan over medium heat, combine the white chocolate chips with ½ cup of almond milk. Whisk continuously until the chocolate chips have completely melted. Add the remaining almond milk and whisk until smooth. Serve hot with marshmallows, cinnamon sticks, and a dusting of ground cinnamon, if desired. Optional: whisk in matcha or cocoa powder. What could I sub for the oil? I usually sub applesauce but the recipe has applesauce in it .. I would try coconut oil. In my baking experience, it is fragrant, but the flavor profile of the muffins should remain basically the same. you could try using more almond milk – but I do like a little oil (it’s not that much for 12 muffins) to keep them moist. Yes, melted coconut oil would work here too (although make sure the rest of your ingredients are at room temperature first). Beautiful muffin pan, beautiful muffins. Wishing you a beautiful birthday too!! These muffins sound so tasty! I love the simple flavour of these. Happy Birthday! What better way than to celebrate with muffins and hot cocoa! Congrats on your collaboration with Anthro and your b-day! Both are amazing!! My b-day was on Monday love that you are from January as well. Just found your blog and love it! Could you post the nutrient value of these muffins? I am following WW and I would love to convert to points! 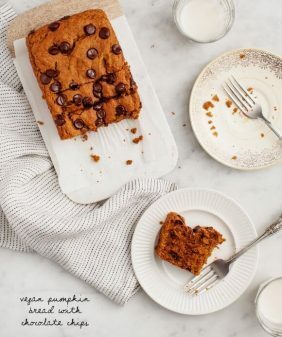 Any substitutions for making this wheat free? I can have spelt wondering if gluten free flour will sub well. Thank you and happiest of birthdays. I made these using GF flour exclusively – 1 c of Bob’s Red Mill All Purpose GF flour and 1 c of Bob’s 1-for-1 flour. Came out great. Happy Birthday 🙂 I loooove that muffin pan! and the muffins look delicious too! Happy Birthday! Working with Anthropologie and getting to bake with their beautiful muffin pans is definitely a gift! These look delicious, but alas, I am GF. Could you come up with a GF version of these muffins? Or make a suggestion for flour substitutions? Thank you! These muffins look delicious, but I’m seriously geeking out over white hot chocolate. It looks gorgeous and sounds amazing, and my mind is exploding with the possibilities white hot chocolate opens up. The recipe made more batter than was necessary for 12 muffin cups, using a standard muffin tin. Perhaps it is meant for a jumbo muffin pan. I made 12 nicely sized muffins, plus an entire mini loaf with the batter. Be prepared for extra. It’s a regular sized muffin pan, but I filled them nearly to the top of each cup (because they rose well vs/ spilling over). I also noticed that each time I made them the size of apple I used made a difference in my final batter amount. Hope you liked them even though you had a little extra! Those apple muffins look so good–and I have everything to make them! How wonderful. Amazing website and photography ! I love your passion ! 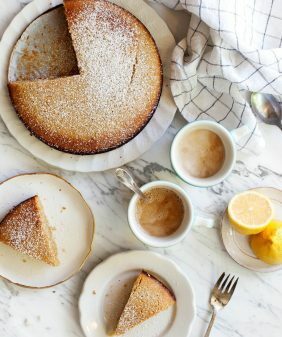 These look uh-ma-zing and your bakeware is also so so cute! What’s the best way to store these after they’ve cooled? So sorry for my slow reply! I keep them on a plate at room temp covered loosely with foil. These cinnamon muffins look absolutely delicious! Thanks for sharing! They turned out well! I think they could be a bit more flavorful though. 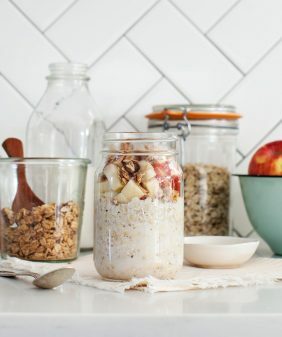 I love apples and I love muffins and, more importantly, I love every single one of your recipes that I have tried so I would love to have a go at these; is there any reason that a flax or chia egg wouldn’t work for the chicken eggs here? These will work well with peaches, pears, prunes., bananas–any fruit. I canned a lot if apples and peaches this year so will use aint of them for this recipe, blending one cup for the sauce. I use oat bran in all my muffins now, as it adds so much fiber, but can hardly be noticed in the finishd muffins. Half oat bran, half flour. For sweetener, half erithrytol and half molasses sugar–fabulous taste.